Occupying a land area of 3.4ha in Bandar Meru Raya, Jelapang (Ipoh), just opposite the newly opened MYDIN Wholesale Hypermarket, this Ipoh Integrated Bus Terminal and Complex (or simply, Ipoh Sentral), built at a cost of RM38 million over the past two years, is slated to be fully operational in August, 2012. Date to be announced in due time. This three-level terminal would serve as an inter-city bus terminal and would replace the current express bus terminal in Medan Gopeng. This means that if you are taking an express bus to Kuala Lumpur, Penang, Johor Bahru or other cities in Peninsular Malaysia, this is where you board your bus. Additionally, there would be a business centre, food court and petrol kiosk. Basement car park is also available for passengers. 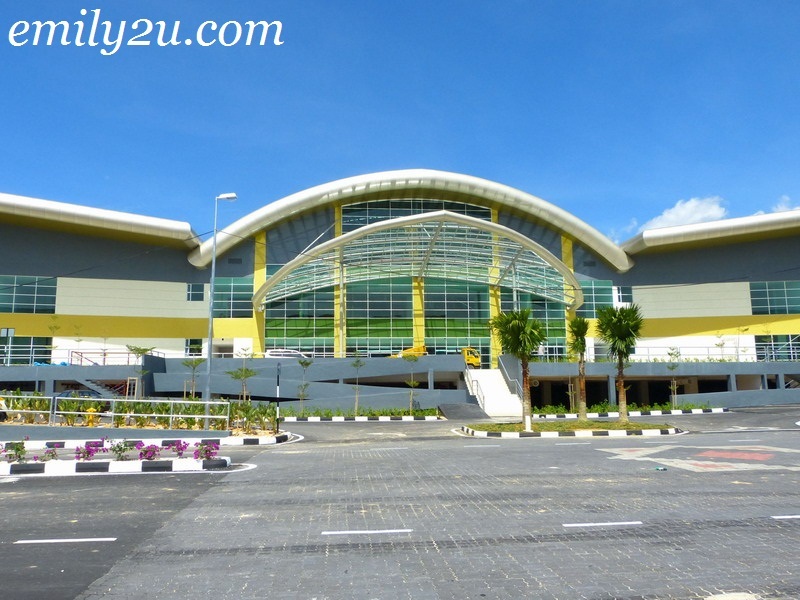 As this new terminal is quite a distance from Ipoh City, about 20 minutes’ drive away with smooth traffic flow, it would be (hopefully) connected to the Kidd Road Ipoh central bus station via shuttle bus service. Personally, I do not look forward to the opening of this new integrated bus terminal. I think I would prefer the train more on my trips to the capital city. What about you? UPDATE: This Ipoh Integrated Bus Terminal and Complex has been named Amanjaya Bus Terminal (Terminal Bas Amanjaya). It was opened on 1st Oct, 2012. 5 Responses for "Ipoh Integrated Bus Terminal and Complex @ Bandar Meru Raya"
Yes it’s easier to go to KL via ETS, however, if we need to go to other cities such as JB and Penang the train would take hours (unless you’re holidaying and don’t mind the slow pace. Medan Gopeng seemed a little packed and quite simply, little. The traffic going to the station didn’t help either. I much prefer Kuala Kangsar bus station to be honest. This new Terminal is right next to the highway so people from Tambun can get to it easily. But yes, shuttle to Medan Kidd will be a bonus. Lucky you, Rohaida!! It takes me 30 minutes or more to go to Ipoh Sentral! My boyfriend is from Ipoh, hence the to and fro his house is very tiring. A new sentral will make me look forward for trip to his house again! Much better than the Gopeng one. i like to doing event and some area to open bazaar walk.